The Nike Air Max 270 Younger Kids' Shoe is inspired by two icons of big Air: the Air Max 180 and Air Max 93. Its large Air Max unit in the heel delivers ultra-soft cushioning in a slip-on design that's perfect for little feet still finding their balance. The Nike Air Max 270 Younger Kids&apos; Shoe is inspired by two icons of big Air: the Air Max 180 and Air Max 93. Its large Air Max unit in the heel delivers ultra-soft cushioning in a slip-on design that&apos;s perfect for little feet still finding their balance. Great value for the comfort factor! 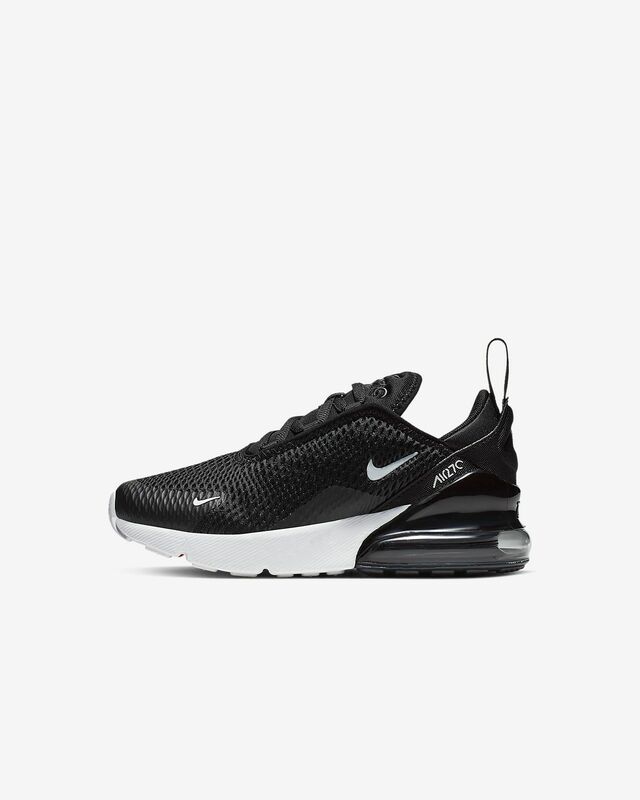 This is the second pair of Air Max 270 I have purchased for my son. He is 7 and can be quite hard on shoes. These run true to size. I must say that I am impressed with how well these shoes hold up, and he says they are the most comfortable shoes he has ever worn. We spend a lot of time at Cedar Point each summer, which means lots of walking and running all day long. He has never had a complaint of his feet hurting or being uncomfortable in these shoes compared to others we have tried. They have also held up extremely well. His older pair do show a bit of wear, but nothing atypical of normal wear for a 7 year old boy. I would definitely recommend these! I purchased two pairs of these for my girls, ages 10 and 7, in August for school. Since these are their school shoes, they are only allowed to wear them to school. As soon as they come home, they change into play shoes for outside and weekend play. For the price, $100 a pair, I would have expected them to last most of the school year, especially since they are worn only when at school. However, one pair already has a hole and the other pair is fraying terribly and we are only 2 1/2 months into the school year. I have purchased many other brands at a much cheaper cost and they have lasted the entire school year. Although these shoes are adorable and comfortable, the fact that they are poorly made is a bummer. I will not purchase these again. My child appreciates to do Nike.